The four one-day-old cubs, with mom Sumba, have become the Belgrade Zoo’s biggest attraction. 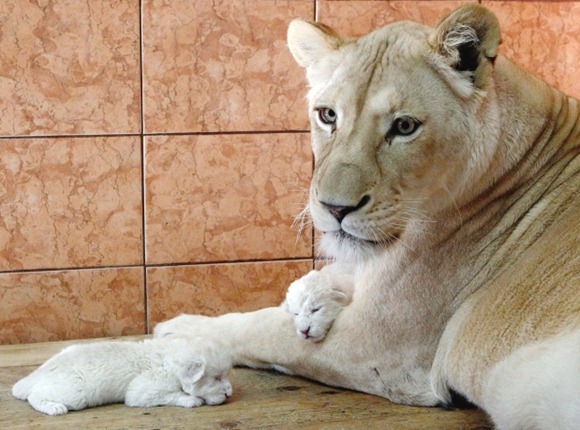 Day-old white lion cubs lie next to their mother Sumba in their enclosure at Belgrade’s Zoo December 21, 2011. The four white lions cubs, an extremely rare subspecies of the African lion, have become the zoo’s greatest attraction. 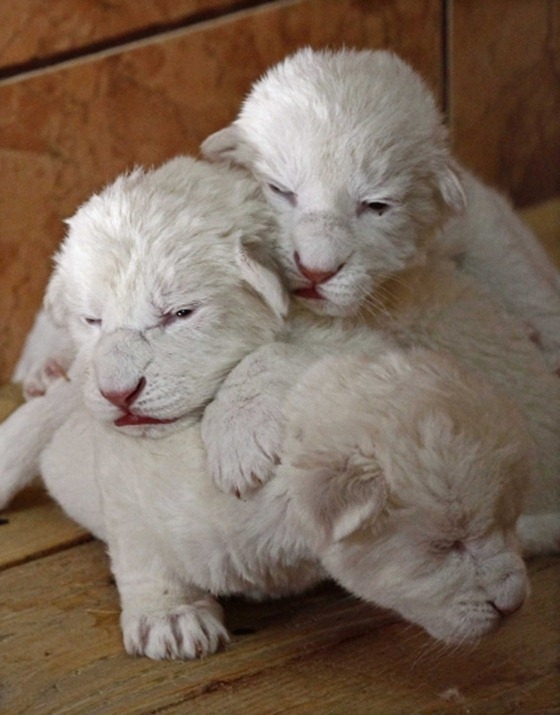 Another four white lion cubs were born in April earlier this year. 12 global mega-cities set to boom by 2025! The City of London is a unique concentration of international expertise and capital, with a supportive legal and regulatory system, an advanced communications and information technology infrastructure and an unrivalled concentration of professional services. Central London is home to the headquarters of more than half of the UK’s top 100 listed companies (the FTSE 100) and more than 100 of Europe’s 500 largest. According to 2005 estimates by the PricewaterhouseCoopers accounting firm, London has the 6th largest city economy in the world after Tokyo, New York City, Los Angeles, Chicago, and Paris. But after the financial crisis hit the world these figures have probably changed. 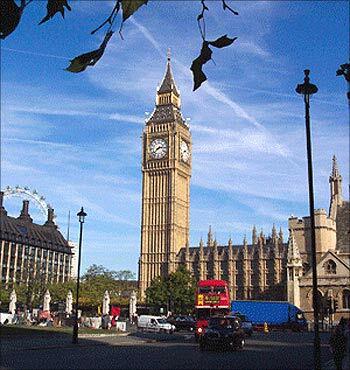 London itself generates approximately 20 per cent of the UK’s GDP. Financial services and tourism remain London’s biggest industries. While around 325,000 people were employed in financial services in London until mid-2007, the city’s tourism sector employs around 350,000 full-time workers. London has over 480 overseas banks, more than any other city in the world. Sao Paulo, in Brazil, is transforming from a strong industrialised base into a service and technology-oriented offshoring location. The city has a mix of global multinational executives who have their BPOs and contact centers providing IT services and R&D. Brazilian exports are currently scaling new heights, its major export products being aircraft, coffee, automobiles, soybean, iron ore, orange juice, steel, ethanol, textiles, footwear, corned beef and electrical equipment. In Mexico, car-pooling edged out buses as the second most popular mode of transportation. When it comes to pain, perception is reality, and the commuters in a recent survey clearly felt that roadway traffic has become worse in the last three years in Mexico City. Almost 49 per cent people said it had become ‘worse’ and 18 per cent felt it had become a ‘lot worse’. 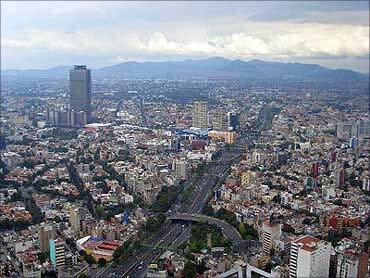 The Mexican capital has been booming at a very rapid pace and is likely to experience a mega boom by 2025, according to the Citi study. Conversely, only 20 per cent of those surveyed said the situation had improved at all, and only 5 per cent said it had improved substantially. China’s eastern metropolis of Shanghai was recently named the ‘sexiest city’ in the country because of tis economic prosperity, urban development, charming buildings and beautiful girls, according to a new survey. More than 17 per cent of 6,577 residents randomly sampled from 30 cities in China named Shanghai as the sexiest city in the survey conducted by the Horizon Research Consultancy Group. People gave a wide range of reasons for naming Shanghai as the sexiest city, including its strong economy, iconic buildings and landscape, hosting of the World Expo 2010 and cultural diversity. Shanghai the centre of finance and trade in China. It is also called the showpiece of China owing to its fantastic urban infrastructure and its pivotal position as a significant business centre in the world’s fastest growing economy. 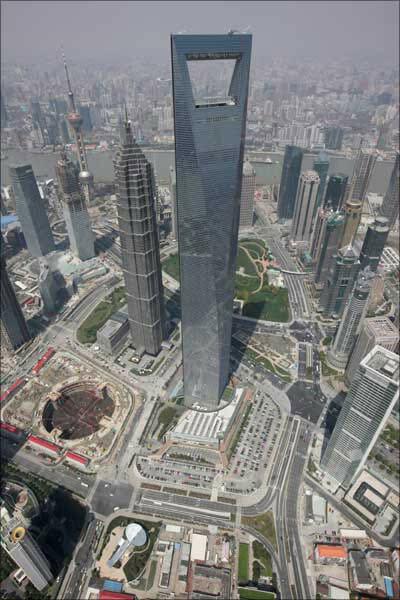 Shanghai is also the most populous city in China. Argentina has a large pool of talented and educated people. 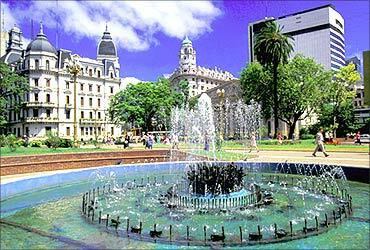 Once an expensive place, Argentina became a preferred outsourcing destination after the devaluation of its currency, peso. The cost of living and salaries dropped, giving outsourcing companies the right environment to thrive. Affordable office space makes it one of the most profitable locations for business. 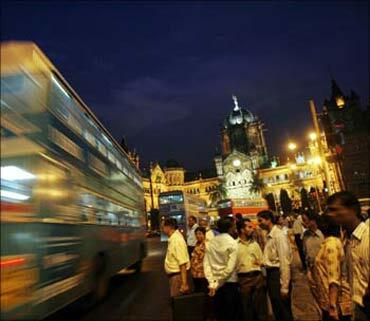 Mumbai, the commercial and financial capital of India, is not only the city with the highest GDP in India, it also ranks among the world’s top ten trade centres. 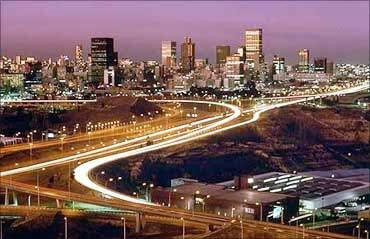 The city contributes 25 per cent of industrial output and 70 per cent of capital transactions to India’s economy. The city accounts for about 1 per cent of the total population in India but has a per capita income which is almost three times that of India. Mumbai accounts for 14 per cent of India’s income tax collections and 37 per cent of the corporate tax collections in the country. The city is named after the river Moskva. 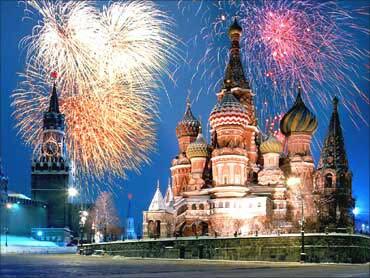 Moscow is one of largest city economies in Europe and it comprises approximately 20% of Russian GDP. In 2006, Mercer Human Resources Consulting named Moscow as the world’s most expensive city for expatriate employees, ahead of Tokyo. The Cherkizovskiy marketplace is the largest marketplace in Europe with daily turnover of about $30 million and about ten thousand sellers from different countries (including China, Turkey, Azerbaijan and India). Primary industries in Moscow include chemical, metallurgy, food, textile, furniture, energy production, software development and machinery. 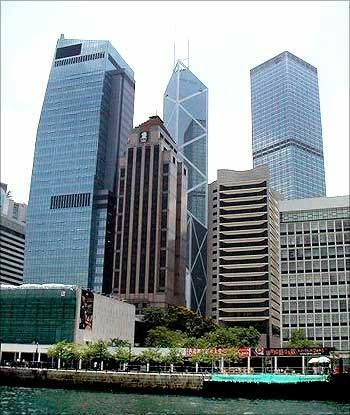 Hong Kong has been described as the world’s greatest experiment in laissez-faire capitalism. It maintains a highly developed capitalist economy, ranked the freest in the world by the Index of Economic Freedom for 15 consecutive years. It is a major centre for international finance and trade. 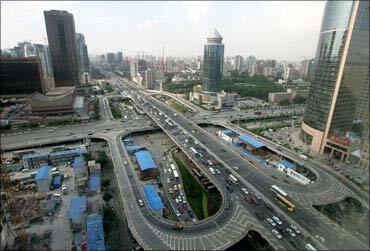 The Chinese capital is a city with the most painful daily commute anywhere in the world is Beijing. Driving on downtown city streets was far more prevalent in Beijing (91 per cent). Interestingly, in substantial improvement, Beijing led the way 16 per cent. Almost 31 per cent of respondents in a survey recently said that during the past three years traffic has been so bad that they turned around and went home. The percentage in Beijing, however, is 69 per cent, the highest for the survey. New Delhi, the capital city of India, has the second highest GDP in the country. And although it cannot rival Mumbai in terms of contribution to the growth of the Indian economy, Delhi is no pushover. It contributes 4.94 per cent to all-India GDP. Connaught Place, one of India’s largest financial centres, is located in the heart of Delhi. Being an important commercial centre in South Asia, Delhi has a per capita income of Rs 78,690, which is more than double the national average. 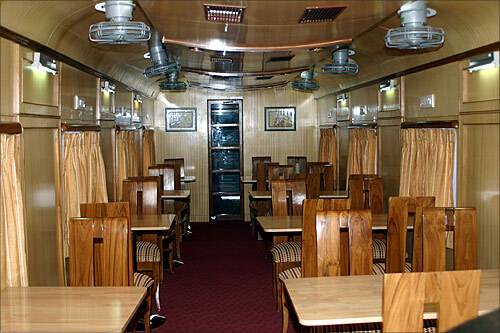 Delhi’s key service industries, backed by as strong and well laid out infrastructure, include IT, telecommunications, hotels, banking, media and tourism. In recent times, Delhi’s manufacturing industry has grown considerably and consumer goods industries have established manufacturing units and headquarters in and around the capital. Construction, power, telecommunications, health and community services, and real estate form the backbone of Delhi’s economy. 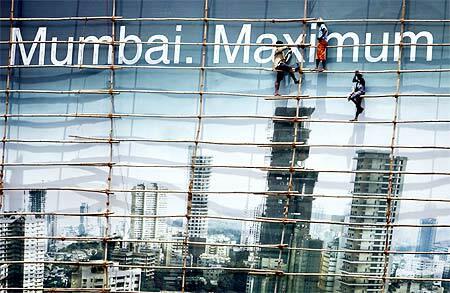 The capital’s retail industry is one of the fastest growing industries in India. 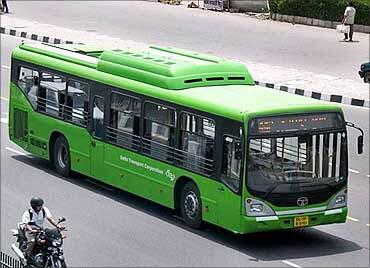 Public transport in Delhi consists of buses, auto rickshaws, taxis, suburban railways and metro rail. 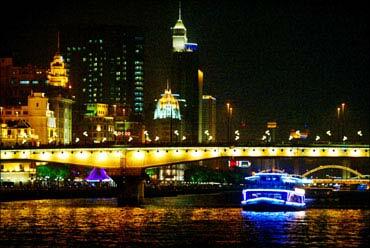 Guangzhou is one China’s major commercial and manufacturing cities. In the next six years, China is set to build world’s biggest mega city developing nine cities around the Pearl River Delta. The new mega-city will cover China’s manufacturing base from Guangzhou to Shenzhen, including Foshan, Dongguan, Zhongshan, Zhuhai, Jiangmen, Huizhou and Zhaoqing, accounting for a tenth of the Chinese economy. 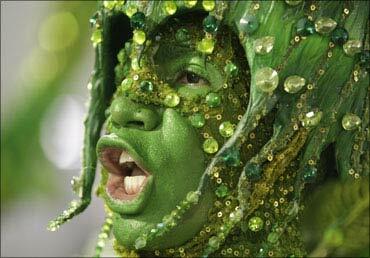 A carnival participant in Rio de Janerio. 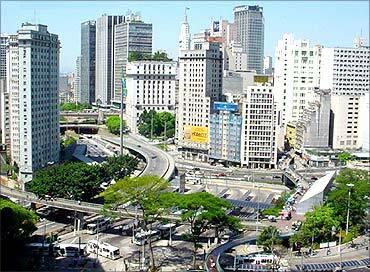 Rio de Janeiro has the second largest GDP amongst all cities in Brazil. With newer employment and business opportunities rising in Rio, the city has been growing at a breakneck pace. Brazil is the largest national economy in Latin America, the world’s 10th largest economy at market exchange rates and the ninth largest in purchasing power parity, according to the International Monetary Fund and the World Bank. The country is known for its booming agricultural, mining, manufacturing and service sectors, as well as a large labour pool. And Rio typifies all of this. The success of these cities depend a great deal on getting private sector investment and the central government facilitating soft loans from multilateral agencies with a 10-year moratorium, at least. Even the McKinsey study acknowledges that building new cities is sustainable only when at least 300 to 400 million jobs are created and each of this city hosts a population of around 1 million, a landmark that usually requires strong anchor tenants and several years of incubation. International experience shows that it takes 15-20 years to reach this level of population, according to the McKinsey study. According to Citi 2025 projections, over the next 15 years, 12 megacities are likely to experience a mega-boom, saysBusiness Insider. And most of these cities are in the emerging markets. So check out which are these 12 cities. For the record, two Indian cities too find a place in the list. Cities, the world over, are bursting at the seams. With urbanisation on the rise, urban populations have now outnumbered rural populations in many nations, and the ‘exodus’ shows no signs of abating. Over the next few years, the ratio of urban to rural population will change even more as hundreds of thousands of people move to cities to earn a livelihood and give their children better education and a better life. According to a McKinsey Global Institute report, 590 million people will live in Indian cities by 2030, almost twice the population of the US today. An investment of $1.2 trillion will be required to meet the projected demand in these cities, and about 700-900 million sq metre of land space needs to be built, or a new Chicago every year. The study states that India will require 20-25 new cities in the next 30 years near the largest 20 metropolitans by providing adequate infrastructure.